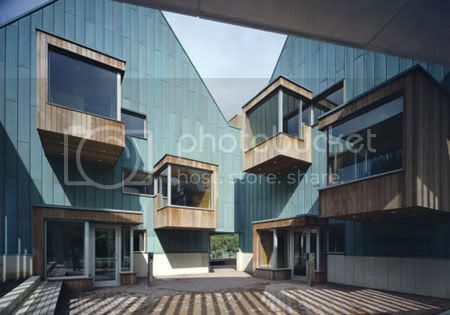 Wood-clad study nooks cantilever, like box seats, into the theatrical space of the courtyard, producing a dynamic entrance to the building and establishing private study areas in a collective setting. 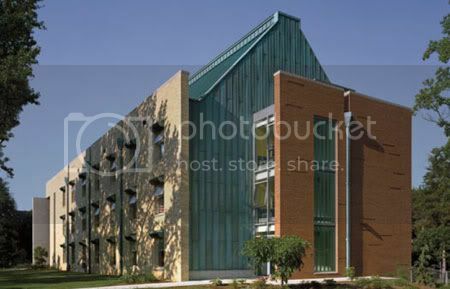 LTL’s work with the College of Wooster began in 2001 with an extensive feasibility study of the residential campus plan that culminated in recommendations for substantial changes in the density and configuration of several student halls. 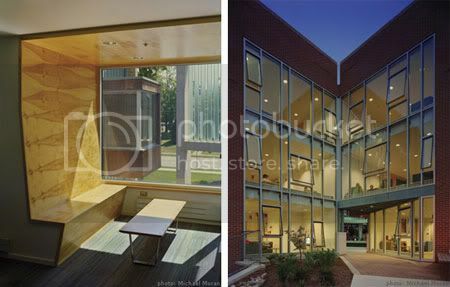 Contrary to the prevailing trend at residential colleges toward apartment-style living, extensive discussions with students, residential life staff, and college administration led to the unanticipated conclusion that a double-loaded corridor type actually encourages the greatest degree of socialization and the most positive student experiences. The success of the double-loaded corridor as a catalyst for college social life is predicated on several important conditions: 1) the scale of the hall unit--the total number of rooms served by a single corridor--should be neither too small nor too large, as this resulted either in isolation or institutional anonymity, 2) the corridor should be wide enough to function as an ad-hoc social space and connect to or incorporate other collective spaces, and 3) the corridor should be integrated with the main circulation paths through the building. The generative brief for Bornhuetter Hall, a new 47,500 sq. ft. residence hall comprising 185 beds, was derived from this research. 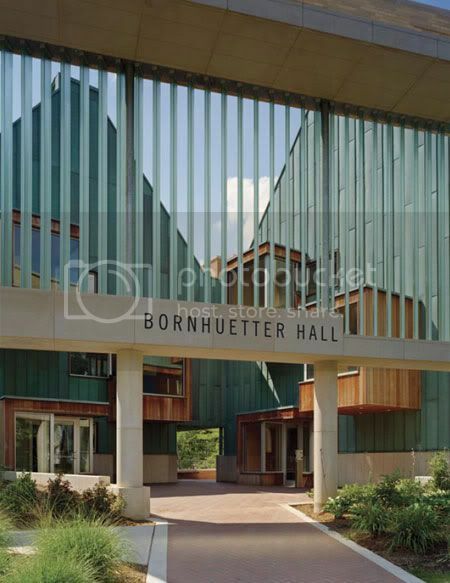 Sited on the northern edge of a liberal arts campus, Bornhuetter Hall encourages social interaction by transforming the conventions of the double-loaded corridor and enriches student experience by providing a balance between private spaces for study and public gathering areas for communal life and discussion. 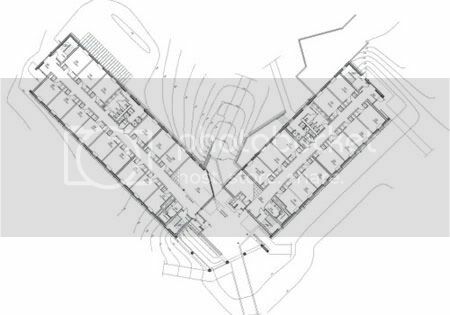 In order to ensure that each hall fosters a sense of community (25-30 students per hall), the building is made of two separate wings, which share a ground floor mechanical system. Within each wing, the hallways flare at their ends and embraces lounges, a kitchenette, and more intimate sitting areas. A collective outdoor courtyard is created by this split. 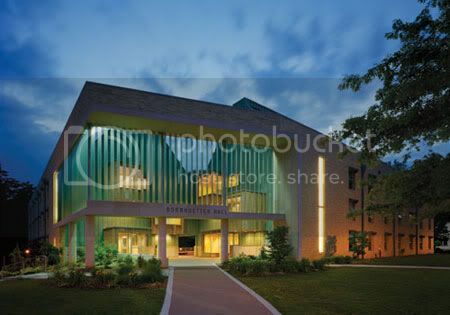 This exterior room functions as the public center of the building. It is an unusual space, simultaneously at the heart of the building and at the ends of each wing. It contains both social and private spaces. 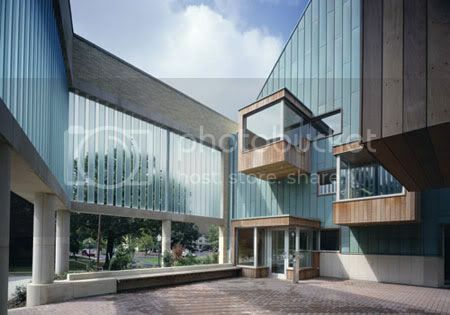 It provides a sequence of entry into the building and passage through to a park framed at the rear of the building.